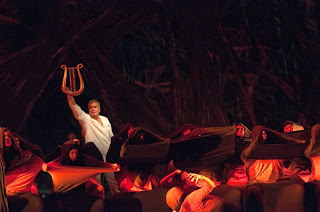 Musically, Orphée et Eurydice is a sumptuous feast for the ears, and before we open tonight I wanted to point out a couple of its special delights. Those of you who like to peer into the orchestra pit during the performance will see two instruments you don't always find in an opera orchestra: the theorbo, played by Stephen Stubbs (right), and harpsichord, played by Phil Kelsey (left). 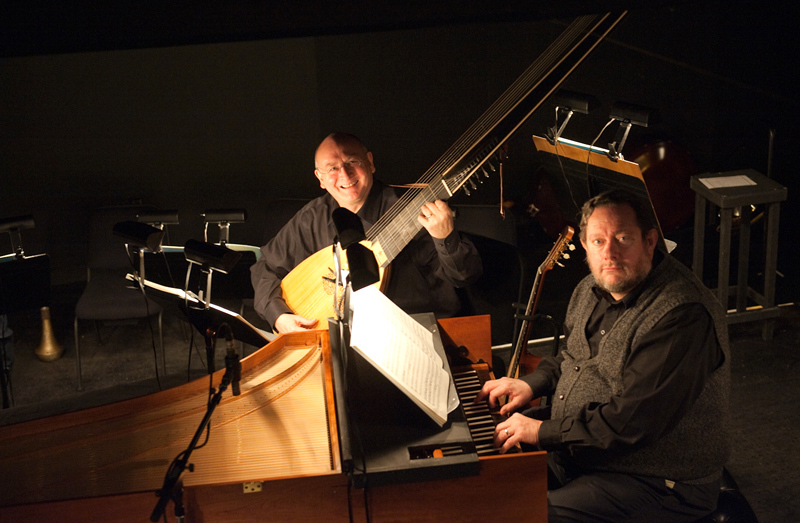 The theorbo is a type of lute developed in Florence during the late sixteenth century. Typically it has fourteen courses (pairs) of strings and eight long single bass strings, stopped on frets. 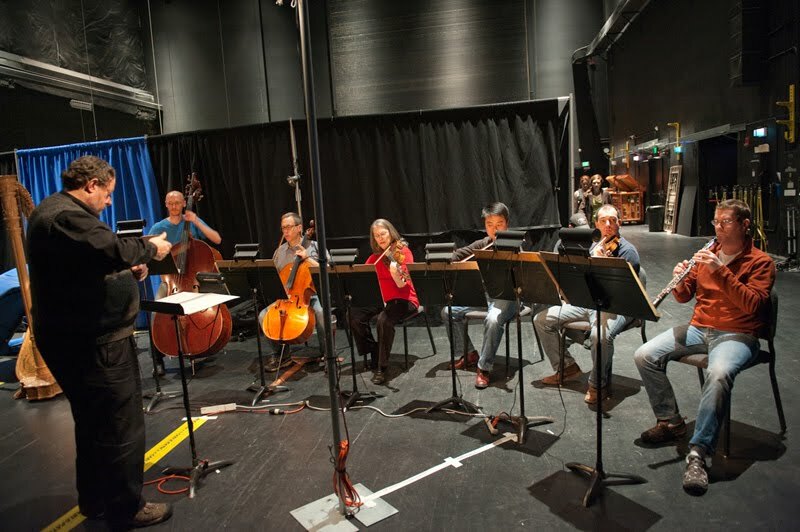 Given its size, the theorbo makes enough sound to be heard in a vast modern opera house. Stephen Stubbs, the international lute superstar and Artistic Director of Pacific Musicworks, alternates in these performances between it and baroque guitar. 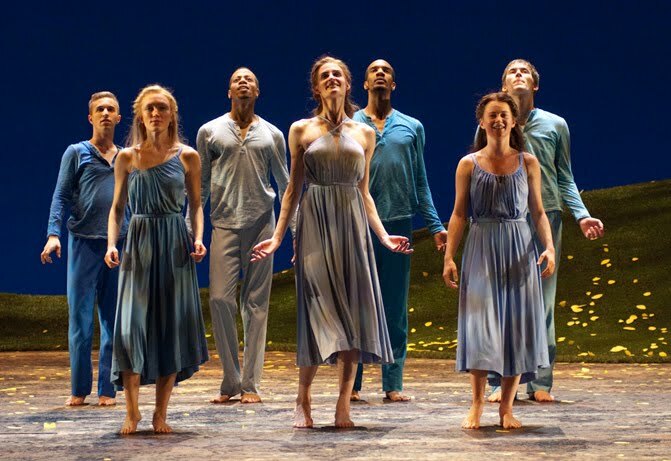 After Orphée makes it past the Furies, he heads for the Elysian Fields, where we hear the famous "Dance of the Blessed Spirits," featuring a solo performed by Demarre McGill, principal flute player of Seattle Symphony. During this solo, the Blessed Spirits, as danced by (l to r) Daniel Howerton, Kate Chamberlin, Scott Bartell, Marissa Quimby, Demetrius Tabron, Roxanne Foster, and Kyle Johnson, welcome us to Elysium.